The roads are wetter and winter is around the corner, so it’s more important than ever that you keep a regular check on your motorhome tyres. 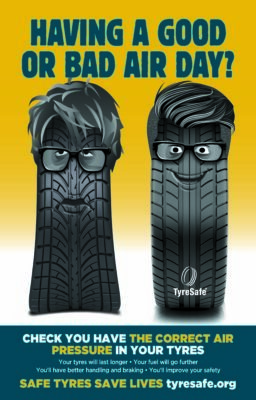 October marks Tyre Safety month and this year TyreSafe is urging motorists not to have a “bad air day” and to regularly check they have the correct air pressure in their vehicle’s tyres. It’s vitally important a motorhome’s tyres are correctly inflated for the applied load otherwise it could affect your vehicle’s stability, steering, braking and cornering increasing the likelihood of an accident and an insurance claim. Plus your tyres are more likely to wear out quickly and increase your fuel costs if they’re not inflated to the right pressure. 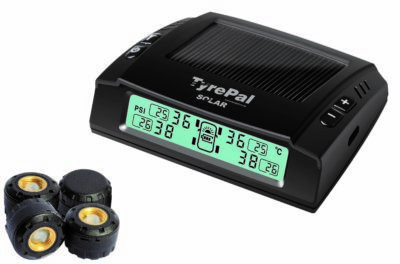 TyreSafe has also launched some new tyre safety guidance for motorhome owners and a unique tyre pressure calculator. Available on their website, motorhome users can check the correct tyre pressures for their motorhome by inputting whether their vehicle is single or rear axle, the maximum axle or fully laden load for the front and rear axle of the vehicle and the tyre size and type. The calculator is also compatible with mobile phones and tablets and provides guidance to owners when they don’t have access to the motorhome manufacturer’s recommended pressures provided in the vehicle’s documentation or on a sticker on the vehicle. For your safety it’s really important to check your motorhome tyres before every trip, particularly if you’ve not used it for a while. They will deteriorate over time, especially if they’re stored outdoors where they’re exposed to sunlight. Plus, air pressures in your motorhome tyres will also drop as they bear the weight of your vehicle, distorting their shape. S even if you’re storing your motorhome indoors you must always check the general condition of your motorhome before every trip. Check your tyre depth. It needs to be 1.6mm across at least 75 per cent of the tread pattern. That figure decreases to 1mm for vehicle with a maximum weight over 3,500kg. If you’re travelling to Europe check in winter, you might have to fit winter tyres in certain countries – so check the local laws before you set off. Drive at a comfortable speed, obviously within the speed limits. Avoid sudden and speedy manoeuvres. If your motorhome is going be stood for a while consider tyre covers, to protect them from UV damage. You could also take the weight off them by jacking up your vehicle. Check with your motorhome tyre manufacturer the lifespan of your vehicle’s tyres and replace when necessary – even if they still look like they’re in a good condition. 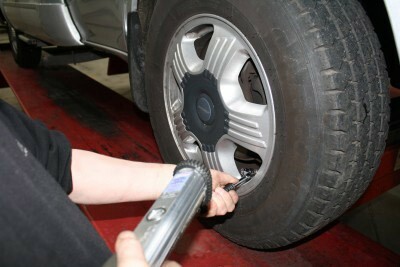 Fit the right tyres for your motorhome – using the same type of tyres on every wheel. *Code not available on TyrePal products which are already discounted. I have yet to find a garage forecourt air pump,which will deliver 80 psi!! I agree with the safety aspect of correct inflation pressures, etc. However, not at all straightforward, as I am again discovering with my new motorhome. The vehicle weighed in at: 1500kg front axle, 1850kg rear axle. The motorhome manual includes an extensive table of weights, pressures and tyres sizes. Advised pressures are: 45psi front, 57 rear. 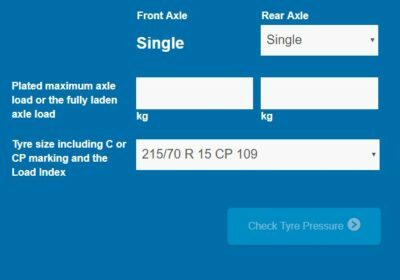 Tyresafe checker: 45psi front, 80 rear. Michelin: 65psi front, 80 rear. An unacceptably wide divergence, you will agree.